Some of our best friends here in Texas bought a sail boat last summer while we were in Utah. I remember being surprised, because even though the husband of this couple loves sailing, it seemed like a big purchase for a hobby. Then they invited us out on it. And I totally changed my tune. It was seriously amazing. 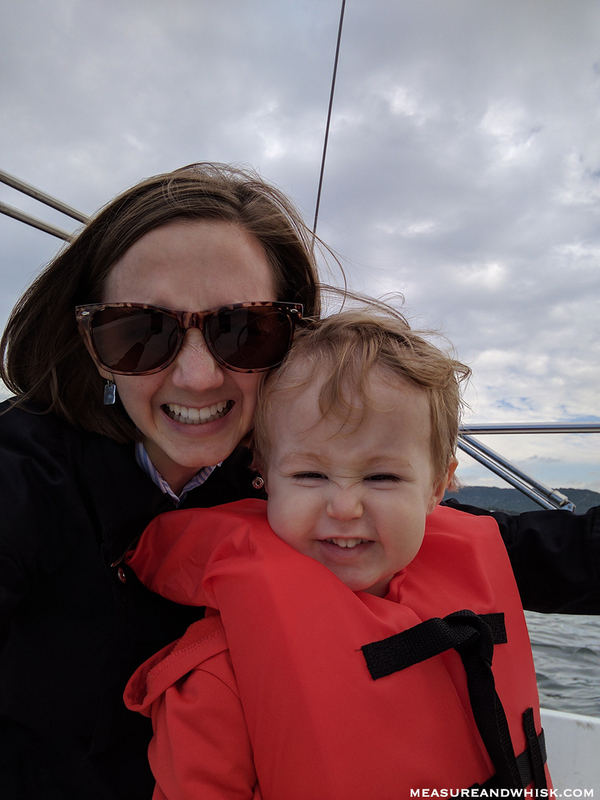 First off, I think being around water is super relaxing (well, unless you have a toddler... it is slightly less relaxing then), but the waves lapping against the boat, and going wherever the wind wants to take you is kind of a magical idea. Also, few people get great service out on the water, so having your phone out all the time, isn't really an option (especially if you are like me and are paranoid of dropping it into the water). Which makes for real quality time with family and friends on the boat. It was great to actually be able to talk without everyone pulling out their phone (except to take photos), every three minutes. 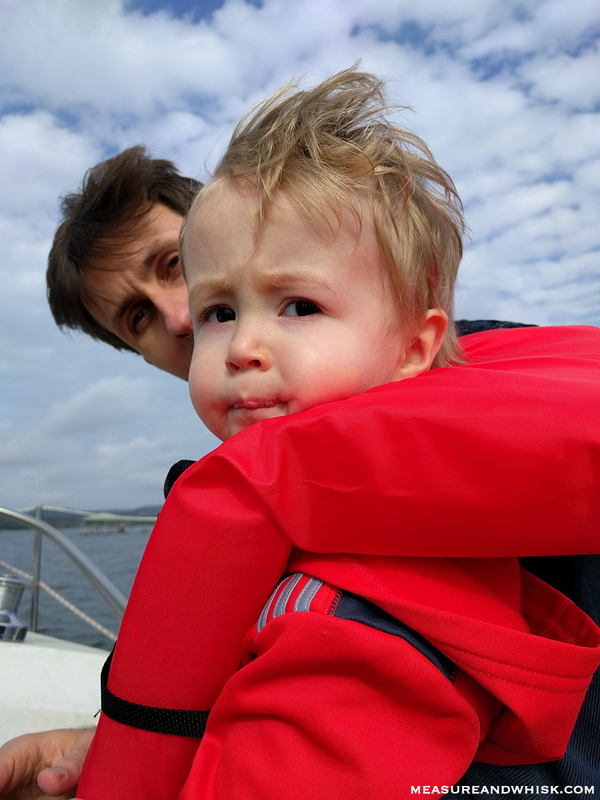 I also love the idea of being able to teach your kids valuable skills about how to problem solve, take a sail up and down, be responsible with an expensive piece of property, and how to not fall off the boat. It is also a great way to just be together. 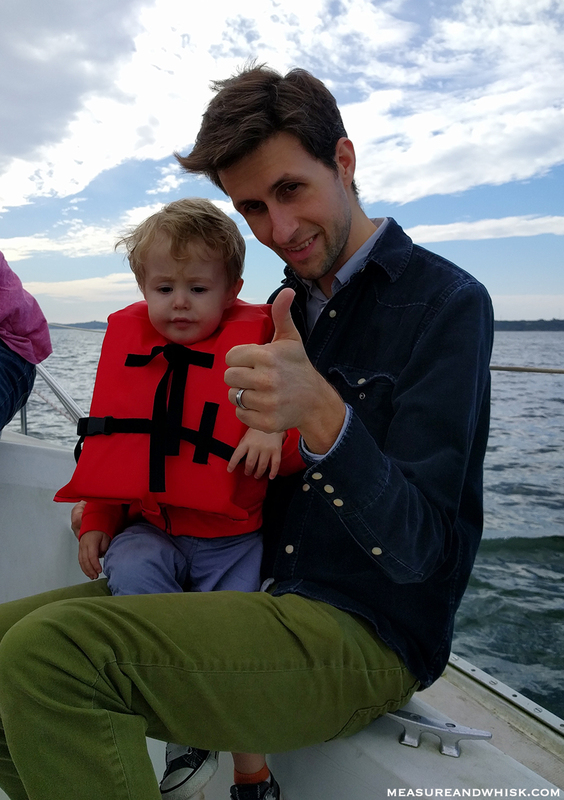 Our friend's boat is 30 feet long, which is a big sailboat, but small enough that you really are forced to spend time together, which is really great. 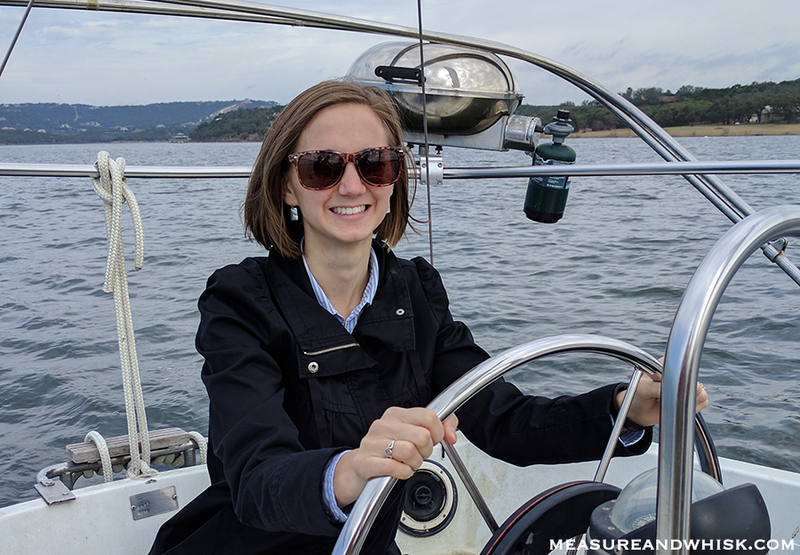 I like speedboats, but there is a totally different feeling when you are on a sailboat. It doesn't go fast, you can't do water sports (except tubing), off the back, and it just feels very relaxed. Totally my kind of water outing. I am pretty terrible at water sports, so sitting on the deck, and occasionally steering is just my idea of a perfect day out on the water. I did a little video about it below. Many years ago, my husband was stationed in Texas and we learned to sail there! We loved it. This brings back many memories. They are going to be heartbroken when you leave! We will be, too :( That is the worst part about leaving. Thanks :) We think he is pretty darling, too!